Jim Rogers has been a successful international investor, an author, financial commentator and traveller. He is the author of Investment Biker (Random House 1994), Adventure Capitalist (Random House 2003) and Hot Commodities (Random House 2005). 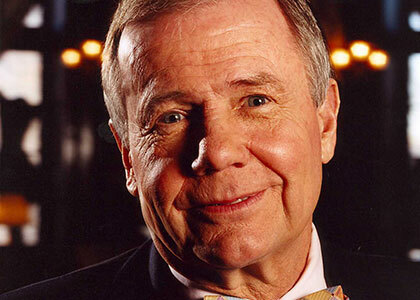 Born in 1942, Jim Rogers had his first job at age five, picking up bottles at baseball games. Winning a scholarship to Yale, Rogers was coxswain. Upon graduation, he attended Balliol College at Oxford where became an Oxford Blue. After a stint in the army, he began work on Wall Street. Together with George Soros he co-founded the Quantum Fund, a global investment partnership. After 10 profitable years when the portfolio gained 4,200% while the S&P rose less than 50%, he decided to retire, at the age of 37, but wouldn’t remain idle. Continuing to manage his own portfolio, Rogers served as a professor of finance at Columbia University Graduate School of Business and was a regular media commentator. At the same time he laid the groundwork for his lifelong dream, an around-the-world motorcycle trip: more than 100,000 miles across six continents. That journey became the subject of Rogers’ first book, Investment Biker. Having returned to New York after his second record setting trip of 152,000 miles, this time in a custom-made Mercedes Benz (chronicled in Rogers’ second book, Adventure Capitalist), he continues to comment in the media on financial topics, while he and his wife enjoy the pleasures of parenthood. Although he had never written a book on practical investment advice, his third book, Hot Commodities, was published early in 2005 and immediately made most of the bestseller lists. Rogers’s strategies are simple and straightforward: You can start small and it is all about putting your money in stuff you understand, the basic materials of everyday life like sugar, cotton or copper. His other books are A Gift to My Children: A Father\’s Lessons for Life and Investing (2009) and A Bull in China (2007). In 1998 Rogers started his own commodities index fund, since then it is the single-best performing index fund in the world in any asset class. He is currently the Chairman of Rogers Holdings and Beeland Interests, Inc, and is an advisor to Leopard Capital’s Sri Lanka Funding.